Rejoice in the Lord always; again, I say, rejoice. Let your modesty be known to all men, for the Lord is nigh. Be nothing solicitous; but in every prayer, let your petitions be made known to God. Ps. 84 Lord, thou hast blessed thy land: thou hast turned away the captivity of Jacob. 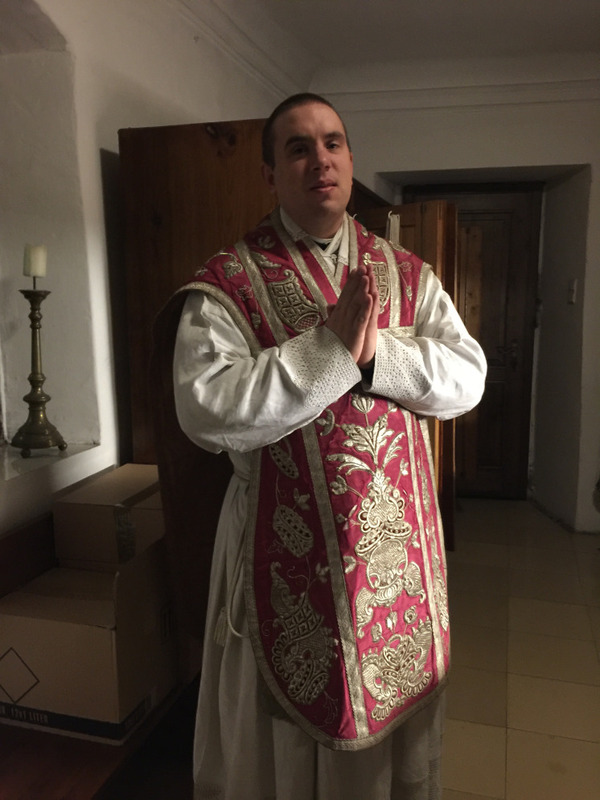 Glory be to the Father. As it was. Rejoice in the Lord. Fr Edmund Waldstein, O. 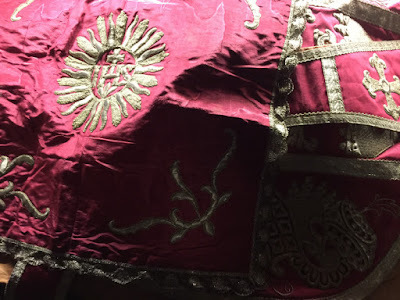 Cist., of Heiligenkreuz Abbey, who also has a blog of his own, Sancrucensis, sent us these pictures of a particularly beautiful rose-colored vestment at the local parish of Pfaffstätten where he serves. I also happened to find today, via a friend’s facebook page, this video of some of the ceremonies for the opening of the Holy Doors at St John in the Lateran and St Paul outside-the-Walls, as part of the extraordinary Jubilee Year of 1933.